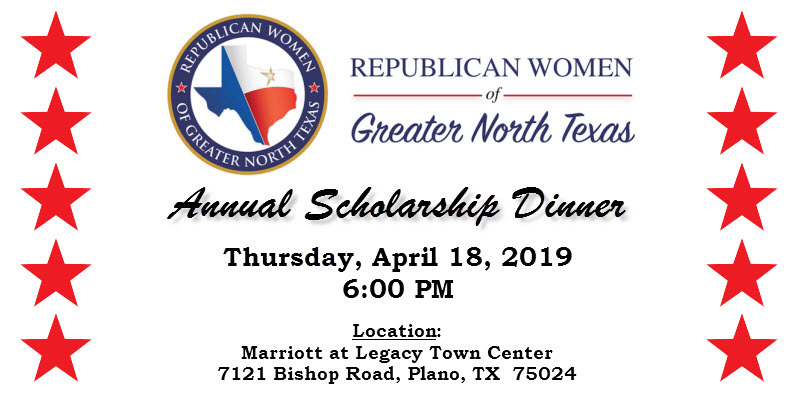 The Republican Women of Greater North Texas are known for having interesting luncheons, fun socials, and the BEST speakers! Feel free to attend any one of our meetings so you can come see just what they’re like. You can see our list of meetings on our Facebook page, or you can get your buffet lunch tickets on our Eventbrite page. We always have a fun and interesting speaker, so come be our guest! We will welcome the Assistant Attorney General, Mallory Myers Vincent, to discuss Human Trafficking and train us on how we recognize and combat this heinous practice. Please review this video in preparation for the meeting. Mallory Myers Vincent is an Assistant Attorney General with the Office of the Attorney General of Texas. She is a member of the Human Trafficking and Transnational/Organized Crime Section within the Criminal Prosecutions Division. She is a former prosecutor with the Bexar County District Attorney’s Office, where she worked in the Criminal Trial Division and the Human Trafficking Unit. Mallory holds degrees from both Texas A&M University and St. Mary’s University School of Law. This presentation will provide an introduction to human trafficking in Texas and will dispel common misconceptions about human trafficking. The audience will gain knowledge about the realities and red flags of human trafficking, highlighted by specific case examples. With this presentation, the audience will be able to identify various tools used by traffickers to lure and maintain victims and the risk factors for potential adult and minor victims of human trafficking. For questions, please call Beverly Weldon at (972) 743-8755. Get to know the candidates Before you vote so you are informed and prepared. Get to know your elected officials personally and you are more likely to have an impact when you call them. Make new friends that want to make an impact too. Before the program begins, enjoy a wonderful buffet style lunch. $25 per person, make sure you come hungry! A brief business meeting covers legislative updates, officer reports and any pressing items that need to be shared. We are well known for our speakers! We’ve hosted Congressmen, Senators, and Presidential nominees. Lt. Col. Allen West, First Lady of TX Cecilia Abbott, Benghazi heroes Mark “Oz” Geist and John “Tig” Tiegen, radio hosts Mark Davis and Chicks On The Right, and actress Janine Turner are just a few of our great speakers. Two and a half years ago I moved from CA to be closer to my family and to live in the great state of Texas. Joining RWGNT was a terrific opportunity to make friends with women of similar values to mine. RWGNT has offered many ways to become involved with my new community; I’ve met local, state and national candidates for office as well as many currently serving. Additionally, I’ve learned how much Texas’s Congress and laws differ from CA and I hope to continue to give back to my new home state. Frustrated with actions some leaders of our state and country were taking, I wanted to do something…get involved…make a difference. Joining a conservative Republican grassroots organization was the best way for me to have a voice. I joined the local chapter of TFRW – our club, RWGNT – and have been actively involved in becoming more informed, meeting candidates and elected officials, and making a difference with this wonderful group of Republican ladies. I have a voice!